So wait, what’s a CDC? Great question. A Community Development Corporation is by definition a registered 501(c)(3) not-for-profit organization that specifically works toward the revitalization and preservation of a community or neighborhood, often one that suffers from a host of complex issues that include poverty, economic decline, property decay, unemployment, poor school performance, drug trafficking, and crime, just to name a few. The Brookside neighborhood is one such community that faces all of these challenges and more just five-minutes’ drive east of downtown Indianapolis. In neighborhoods even nearer to downtown, in Indianapolis and in cities all across the US, this “revitalization” has often come in the form of gentrification, where houses and structures are renovated to such a degree that property values are driven up beyond what existing residents can afford to sustainably remain in the community. People who have called these historic neighborhoods home for generations are effectively pushed out while developers pave the way for a new class of affluent residents to move in. For such community organizations only concerned with raising property values and beautification, this method of community revitalization is touted as effective, even as lives and communities are destroyed in the process. Over and over again, the Gospel that Jesus proclaimed rejects injustice and promotes the cause of the oppressed. In the years that I’ve joined together with Brookside Community Church and, more recently, its non-profit arm, Brookside CDC, I’ve witnessed the difference that embracing the Gospel can make in terms of community development. Brookside CDC’s goal of neighborhood renewal starts and ends with the individual. Their chief objective is not to “clean up the streets” or even reduce crime or reclaim abandoned homes. The visible decay of our most impoverished communities is only a symptom of the pervasive problem that is the human condition. Brookside CDC focuses instead on working toward personal transformation and building up the dignity and stability of each person through the transformative power of the Gospel. It is “get-your-hands-dirty,” slow, and messy work. There are no “prefab” solutions, as every individual presents unique situational challenges. But in meeting people where they are and relying on God to do the work of transformation in each person’s heart, that’s when genuine beauty begins to reemerge. Real, lasting change that’s rooted in justice won’t come from removing what society deems “bad” and replacing it with what it deems “good,” but rather through the healing of what is truly broken – and, really, that’s all of us. When human beings come together under a shared realization that we all suffer from the same terminal condition of brokenness in our relationships with God and each other, no matter our zip code, our net worth, or our criminal record, God begins to pour out His grace and thus begins our healing process. And out of that shared healing springs forth what we all secretly or openly desired from the beginning: a community reborn. 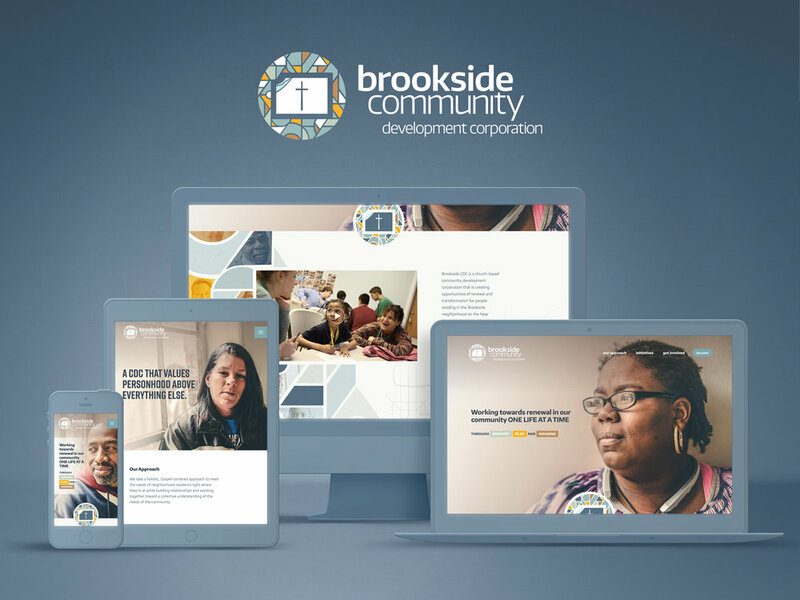 I was proud to partner with Brookside CDC in creating their brand and website, which through stunning photography tells the story of brokenness transformed and personal dignity restored. Check it out at brooksidecdc.org. Indianapolis is the birthplace of Brackets For Good, a March Madness-inspired donation tournament for worthy local non-profit organizations. Brookside CDC was the last charity to be invited into this year’s field of 64 competitors and made an improbable and unprecedented run all the way to the championship round of the tournament! Find out what happened in my next blog post. If you live outside the Indianapolis area, check bfg.org to see if there are any Brackets For Good tournaments in your state or city. 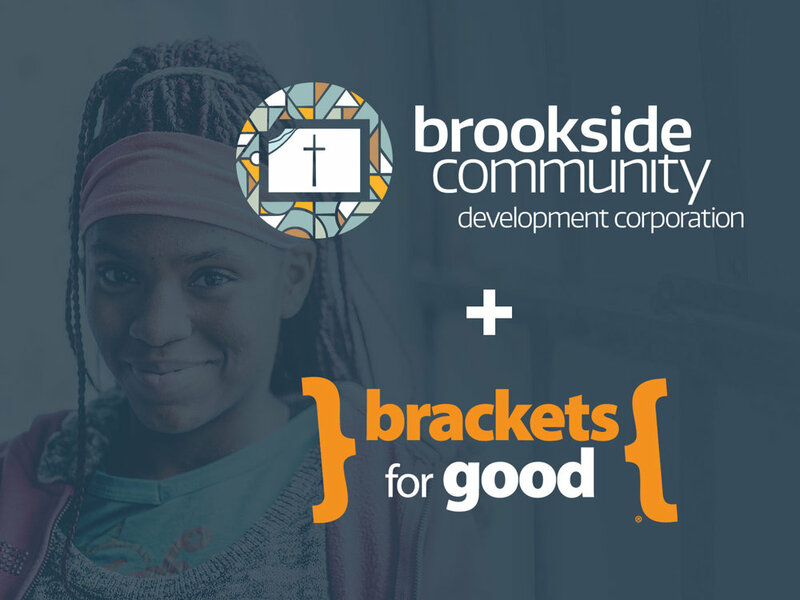 How did Brookside CDC fair in the final rounds of the 2018 Indianapolis Brackets For Good tournament?